Designed & Optimized for home owners & businesses to cater for the installed base of their mini splits, window ACs or portable ACs. Monitor, control and achieve your targeted energy saving goals. With Cielo World, your heating or cooling bills are destined to go down. Designed & Optimized for home owners & businesses to cater for the installed base of their mini splits, window ACs or portable ACs. Monitor, control and achieve your targeted energy saving goals . With Cielo World, your heating or cooling bills are destined to go down. 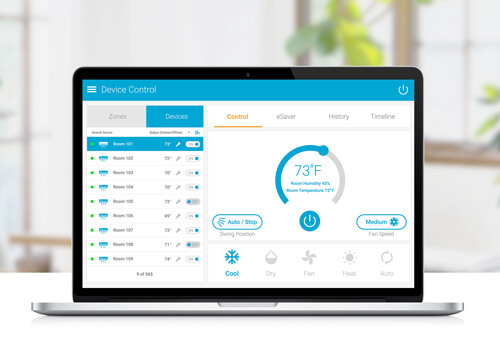 Create HVAC zones to control your heating or cooling efficiently. Air conditioner zoning allows you to turn on/off a group of ACs in the zone. Set the temperature of your liking, Play with the modes and much more. Loaded with huge array of smart controls including on/off from anywhere, setting the temperature, mode and swing position. 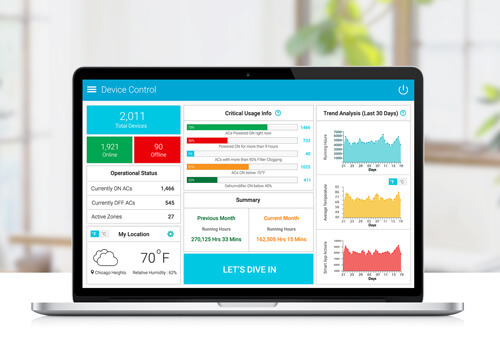 Monitor actual and set point temperature, humidity levels of your room, live AC air filter status, statistical reports of your heating or cooling and much more. Loaded with huge array of smart controls including on/off from anywhere, playing with temperature, mode and swing position, knowledge of actual and set point temperature, humidity levels of your room, live air filter status, statistical reports of your heating or cooling use and much more. 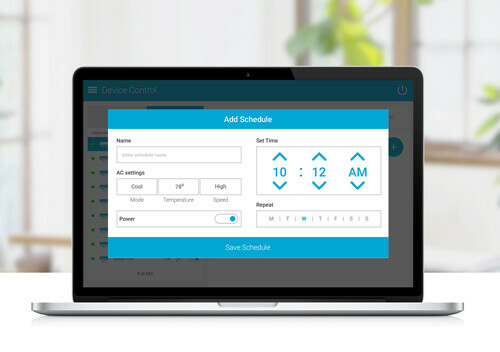 Enjoy the power of scheduling (daily or weekly) on your air conditioners; the way you like. Set schedules as per your convenience and planned savings goals. Come back home and be welcomed by the perfect room conditions defined by you. Leave your home while ensuring a perfect temperature and humidity levels for your loved ones. Provides complete usage audit of your connected ACs / Heat Pumps on Cielo World App. Check and customize the reports available on the dashboard of Cielo World. Keeps you informed about your usage patterns and helps you achieve your saving goals. 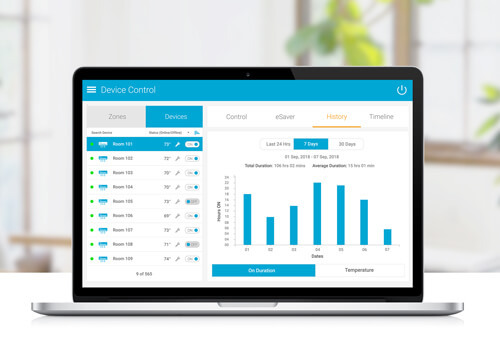 Provides complete usage audit of your connected ACs / Heat Pumps on Cielo World Apps. Check and customize the reports available on the dash board of Cielo Keep abreast of your usage patterns and achieve your saving goals. Check a complete timeline of actions performed through app, remote control, Amazon Alexa, the Google Assistant or pre-set schedules. You have the control and complete knowledge of your actions performed on your air conditioning within a single platform. Clean air filter keeps you healthy and reduces energy costs. Keep track of the usage of air filter and get timely alerts. Cielo World dynamically display the latest status of air filter and helps you breath in a healthy environment. Clean air filter keeps you healthy and reduces energy costs. Keep track of the usage of air filter and get timely alerts. Cielo World dynamically display the latest status of air filter and help you breath in a healthy environment. 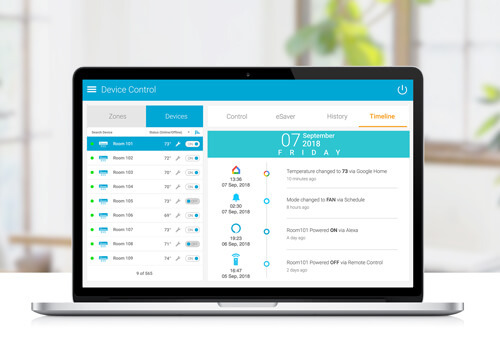 The Cielo World dashboard is simple to navigate, yet very powerful to inform. 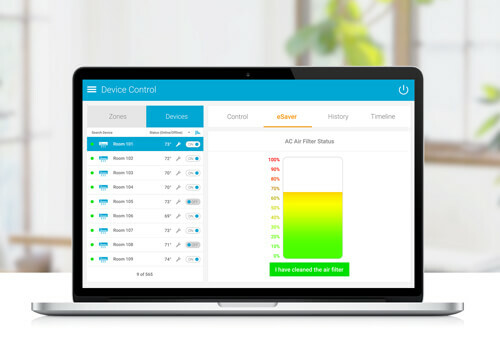 It gives you the complete summary of your connected devices and their operational status. Critical usage info gives you a clear picture of your targeted savings goals. What's more, it is customizable to suit your requirements.